Designing gorgeous and functional living spaces. Haus Interior Design is a full-service interior design firm serving clients in the Washington DC area with professionalism and creative rigor. On any project, thousands of decisions need to be made that require immediate response. We are committed to acting quickly and in the best interests of our clients while professionally accomplishing the goals set forth from the start. From traditional elegance to classic simplicity, we have a broad range of design capabilities and creative talent. 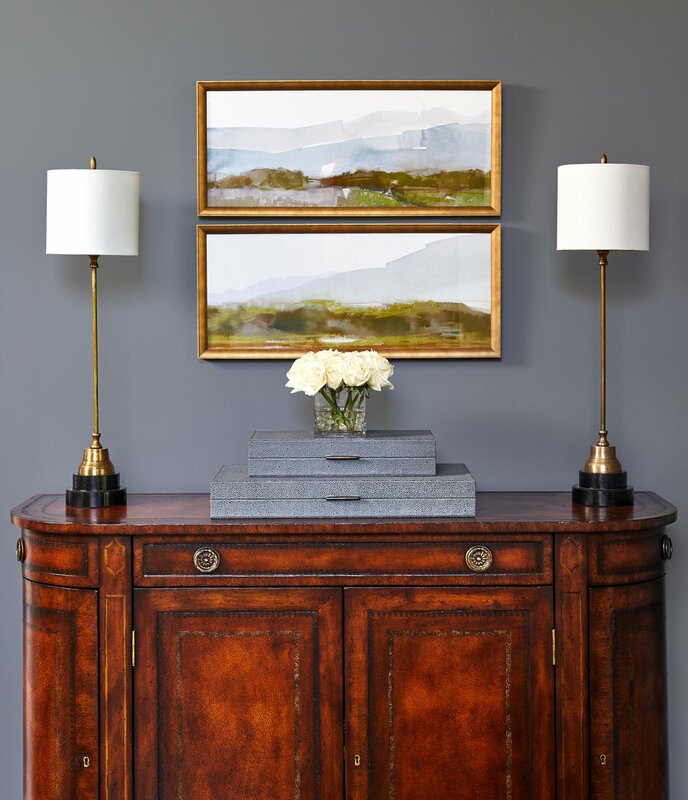 Whether a project involves renovation or turn-key furnishing, our clients have confidence knowing our extensive experience allows us to oversee every detail and decision from the initial consultation to the final reveal. We create interiors of distinction that uniquely reflect each client’s inspiration by actively listening to their priorities. Trust that our dedication and expertise will be an asset to your project. Award-winning interior design that endures. "Kirsten is wonderful to work with — she has such helpful ideas and a full book of contacts to assist with every aspect of the renovation process. All her colleagues speak highly of her and enjoy collaborating with her on making the project a success. She does beautiful work!" Inviting mix of elegance and comfort realized with attention to detail. "Kirsten is patient, thoughtful and knowledgeable. Her vision is extraordinary and she has exceeded our expectations repeatedly. We have done multiple projects together and she is #1 on our speed dial when it comes to any design questions."